Roaring Fork Aikikai holds multiple aikido seminars and related events each year at our dojo, inviting in some of the leading aikido instructors in the country. This is a way of building community and keeping our students connected to the cutting edge of aikido practice. Practitioners from all aikido backgrounds and federations are welcome. Join our Facebook page or monitor this site to stay appraised of upcoming events. Join Roaring Fork Aikikai's 2nd Anniversary celebration with Joshua Layton (5th Dan, Shidoin, Montérégie Aikikai) who leads a 2-day Aikido Seminar. We will also have a 2nd Anniversary potluck celebration which is open to all Roaring Fork Aikikai friends and family. Aikido training is limited to the first 22 registrations. All active Aikido practitioners of all skill levels are welcome. Non-aikido practitioners are welcome to come and watch. Cost is $30 for one day, $50 for both days. Registration is limited to the first 24 people to sign up. Seminar takes place at Roaring Fork Aikikai, 2553 Dolores Way, Carbondale, CO 81623. Contact us with questions at (970) 340-8178 or mike@rfaikikai.com. 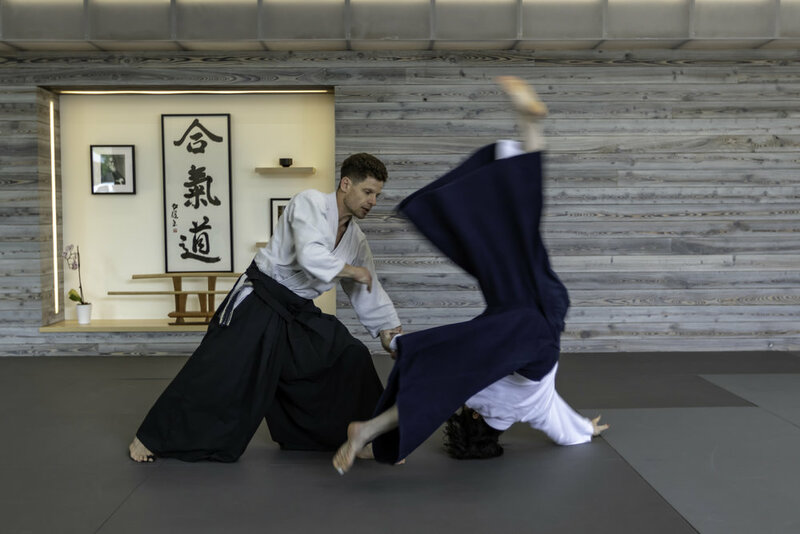 A full-time professional instructor, Joshua has devoted his life to the practice and teaching of Aikido. Since 1999 he has studied under eminent teachers from Japan, the US, and Canada. He presently holds the rank of 5th dan and is a Shidoin level certified teacher of the United States Aikido Federation. Committed to his ongoing development, he continues training under the guidance of Y. Yamada Sensei (8th dan), a direct student of Morihei Ueshiba the founder of Aikido. Joshua is also a teacher of the traditional martial art of Japanese swordsmanship, Muso Shinden Ryu Iaido, which he began under the late M. Kanai Sensei (8th dan).